24 Karat Restaurant – the name pretty much says it all. This unique restaurant in Dubai serves up signature dishes with a golden touch, ranging from soup with truffle gold flakes to burrata topped with gold. 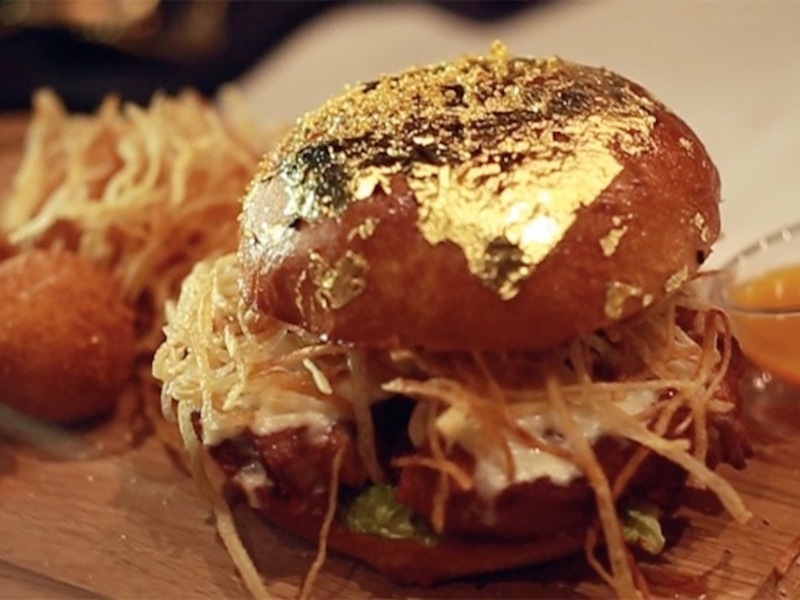 One particular dish that caught our eye was The One & Only Ossobuco Burger, made with slow-cooked veal Ossobuco and topped with – you guessed it – gold!